Iv heard so much good reviews on this Concealer so i thought why not try it out. So i went into store and this was the closet to my skin tone as a concealer plus i wanted to use it as a highlighter too so went for a shade lighter. These shades come in numbers starting from 5 -to 30. I bought the shade 20 and will be getting the 25 next time am in Superdrugs. I love mixing so will definitely be getting more shades to mix and match different shades. As you can see it comes in a long tube and has a brush tip. You need to squeeze the tube for the Concealer to come out at the tip. The tube has 8ml of Concealer and i just have to say AGAIN i love their packaging. Its so ideal for traveling, adding to your kit or Make Up bag and it won't leak break or damage where ever you store it. 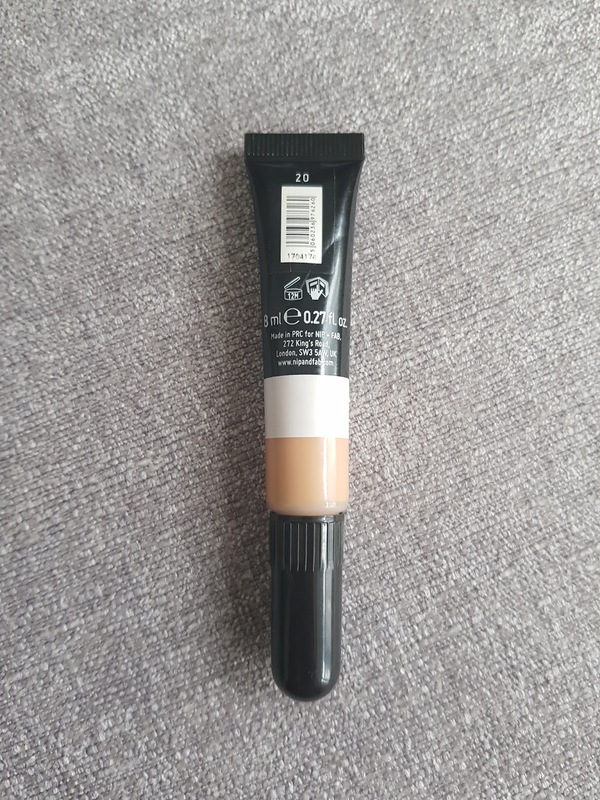 This Concealer states its high coverage and leaves a matte finish. It is a good coverage specialy for a drug store brand and the quality is beautiful. 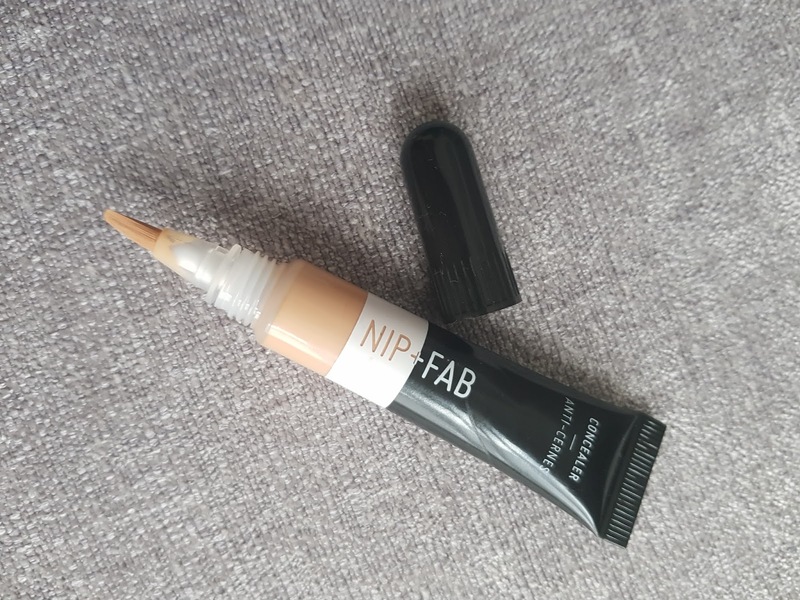 I love my creamy Concealers and this definitely has that nice creamy texture and does leave a matte finish once its blended and set. 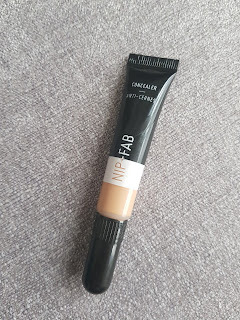 Concealers Cost £8.95 and can be purcased at any Superdrugs store or Nip+Fab online. I recommend this Concealer for those who love a creamy finish and specialy for those who have Dry Skin. This doesn't leave your Skin looking or feeling dry.